Happy Donut Day! Today is National Doughnut Day. As Americans we seem to celebrate some silly holidays. Ever heard of National Upsy Daisy Day? But donut day actually has a pretty neat background. So go ahead and grab your favorite donut today. Dental assistants’ donuts are keeping them happy today too! 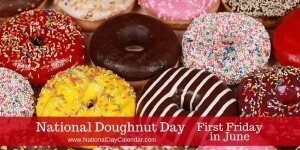 National Doughnut Day dates all the way back to World War I. It was set aside to celebrate the women of the Salvation Army. During WWI, these women would make fresh doughnuts for the men on the front line in Europe. These women wanted to do something to boost the spirits of the soldiers. They would cook home made food for men that were fighting. 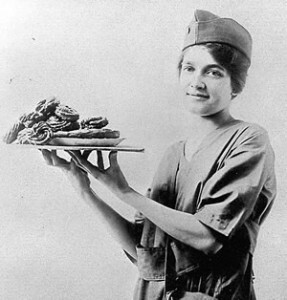 The first original “Salvation Army Doughnut” was served by the women in 1917. Since cooking supplies was limited, these donuts were cooked with oil inside of the soldiers’ metal helmet. Thus, American infantrymen were sometimes called “dough boys”. National Doughnut Day first started in 1938 by the Salvation Army in order to honor these women that made and served donuts in WWI. It began as a fundraiser for the needy during the great depression. It is now a fun holiday where we get to enjoy a delicious treat. After you enjoy that yummy donut, consider these dental assistants’ tips to keep your teeth clean. Carrying a portable toothbrush with you at all times can be a great way to help prevent cavities. Taking a quick minute to brush your teeth after eating a sugary treat can help reduce the amount of plaque buildup in the mouth. Gum can be an effective way to help cleanse the mouth. It must be sugar-free, though. Gum will increase the amount of saliva in the mouth which will help remove sugar stuck to the teeth. Using a mouth wash is a great way to rid the mouth of bacteria. If you don’t have a mouth wash with you, rinsing with water can help too.